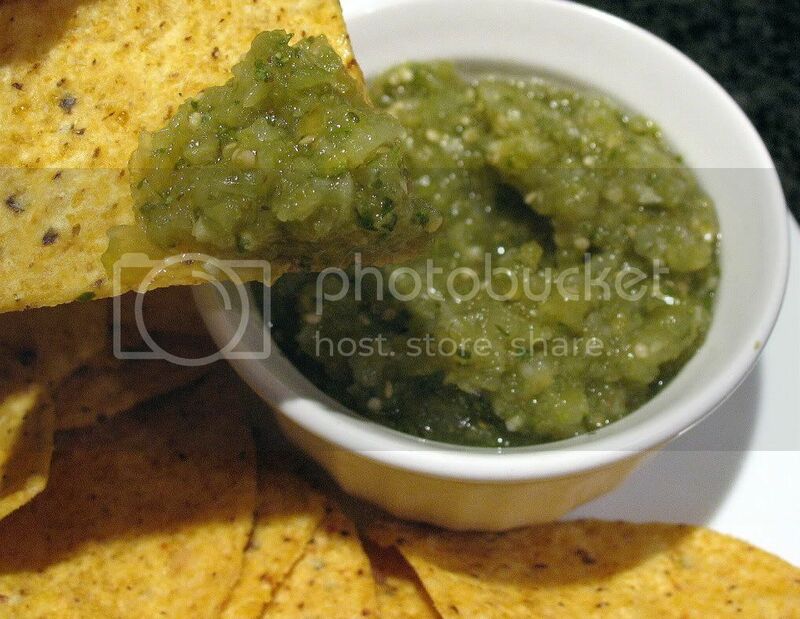 I had been wanting to try my hand at tomatillo salsa for quite some time, but was unable to procure fresh or canned tomatillos at several local, suburban grocery stores. Last week while perusing the fresh produce, I excitedly spotted the small husked tomatillos alongside the vine-ripened tomatoes and assorted hot peppers. My purchase caused quite a stir at the front end, as it took awhile for several cashiers to come up with the correct produce code. Apparently my local Stop and Shop doesn’t move large volume of tomatillos. Now that I had the produce in hand, I had to settle on a recipe. After looking over several recipes to get a general idea of standard ingredients and preparations, I settled on this recipe from on allrecipes.com. I was pleased with how quickly the salsa came together. While the tomatillos were cooking, I chopped and measured the rest of the ingredients into the food processor work bowl. Less than a minute after removing the tomatillos from the stove, the salsa was done. I will definitely be making this again. The salsa had a tart fresh tang, with an aromatic hint of garlic. Just add chips and a frosty margarita and you have a perfect Mexican-inspired snack. 1. Place husked, washed tomatillos in a saucepan. Fill the pan with enough water to cover the tomatillos and bring to a boil over high heat. 2. Reduce heat to medium and simmer for 10-15 minutes, or until tomatillos are soft. 3. Transfer tomatillos to the work bowl of a food processor. Reserve cooking water in case additional water is needed to thin the salsa. 4. Add remaining ingredients onion, garlic, jalapeno, cilantro, oregano, cumin and salt) and process until smooth. 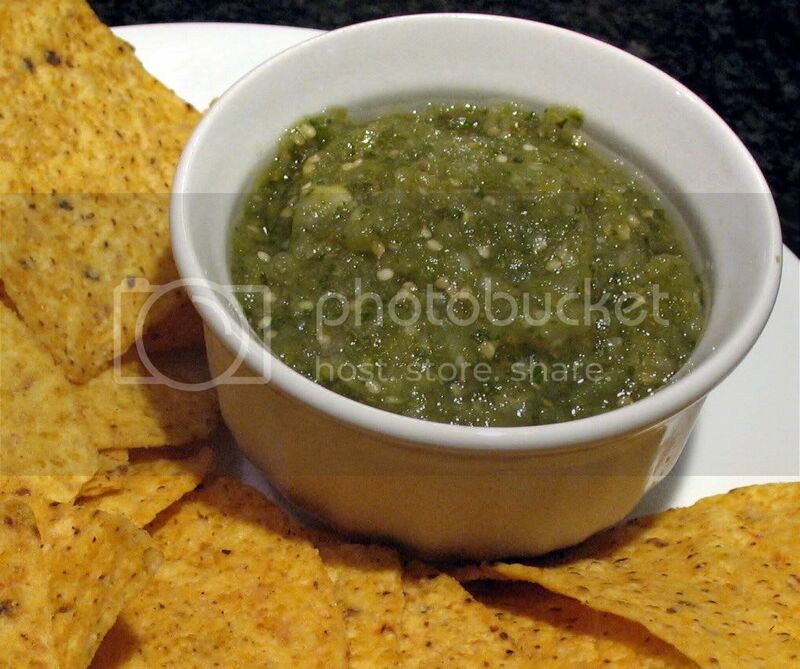 If salsa is too thick, add small amounts of cooking water until desired consistency is reached. thank you for the recipe, like you we have never made it before and a friend of ours gave us about 10 pounds of timatillos!! now we know what to do with it.